Bamboo charcoal can promote blood circulation, metabolism, eliminate fatigue and aid sleeping. 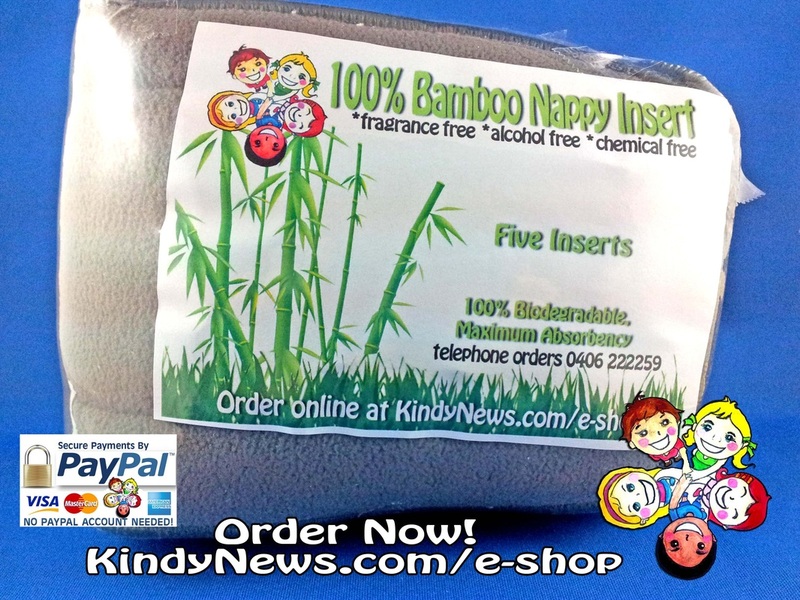 These Bamboo Nappy Inserts are highly absorbent and are able to absorb up to three times their weight in water, clearly distinguishing themselves. Bamboo is naturally hypoallergenic and ideal for those with sensitive skin. Bamboo fibre is naturally smooth and round without chemical treatment, meaning there are no sharp spurs or harsh chemicals which may irritate the skin. Bamboo has excellent natural antibacterial and deodorising properties, therefore if they are left damp they will not start to smell, unlike cotton towels. Bamboo is an environmentally friendly resource. It grows incredibly rapidly and, unlike cotton, thrives without the use of harmful chemical pesticides. grow in dry Australian conditions. It regenerates naturally, does not need replanting, has excellent soil retention properties and helps to prevent soil erosion. Bamboo fabric can be 100% biodegraded in soil by microorganisms and sunlight. The decomposition process does not cause any pollution in the environment.